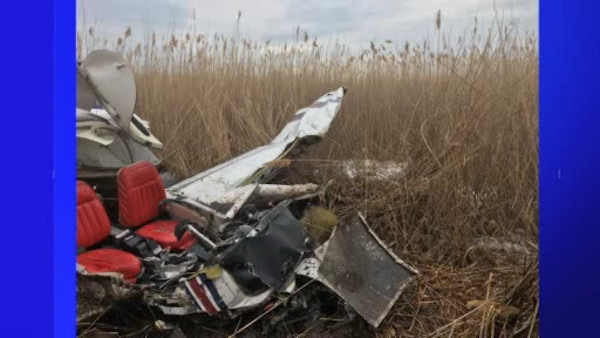 EAST HAVEN, Connecticut -- A plane from a local flight school has crashed in a swampy area near the end of a runaway at a Connecticut airport, killing one occupant and seriously injuring the other. The Piper PA 38 aircraft had just taken off from Tweed New Haven Airport when it crashed Wednesday morning in East Haven. Mayor Joseph Maturo Jr. says the plane reported an emergency, turned around and fell from the sky. Police say the man killed in the crash was Pablo Campos Isona, of East Haven. The identity of the injured man hasn't been released. First responders trudged through 2 feet of water and ice to reach the wreckage. The Federal Aviation Administration says it will investigate. The National Transportation Safety Board will determine the probable cause of the crash.